March 5, 2018 By Elise Leave a Comment This post may contain affiliate links. Please read my disclosure policy for more info. Want to indulge without feeling guilty? 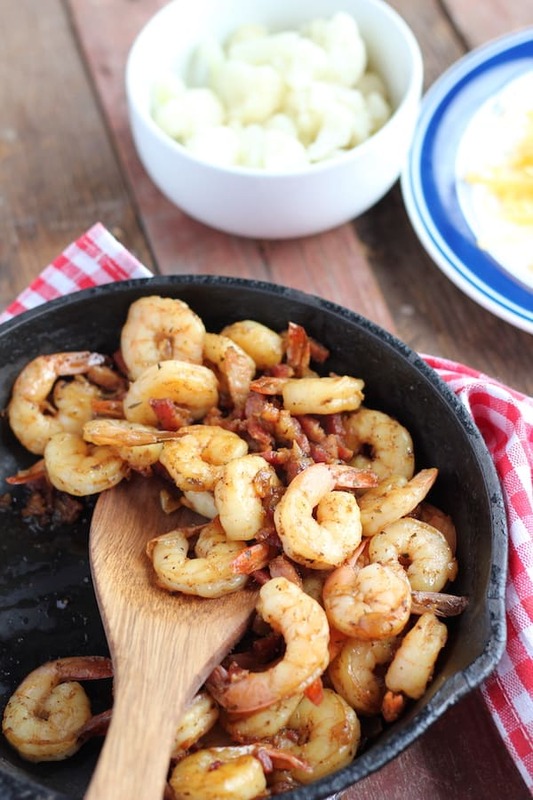 Low carb shrimp and grits are exactly what you need! Lots of flavor, and plenty of protein without the heaviness that comes with grits. Don’t get me wrong – I love carbs! And I plan on having a pile of homemade Belgian waffles tomorrow after my long run. 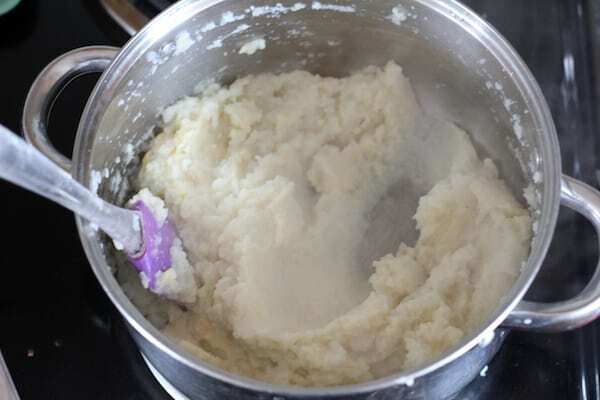 But on rest days, according to my nutrition coach, I’m only supposed to eat 103 grams of carbs, so I try to make them count, and well, do you know how many carbs are in a bowl of grits? A lot, that’s how many. And I LOVE grits. Love them. It’s just that I know if I use up all my carbs early in the day at breakfast or brunch, I’ll wreck my diet by the end of the day. “Know thyself” and all that. If you’re like me, and cycling your carbs to fuel you body for, say, half marathon training, or if you’re on a low carb diet such as Keto, this low carb shrimp and grits recipe is your dream come true. You get to taste pure indulgence, but still feel really good afterward. The secret ingredient, of course, is cauliflower. I. love. 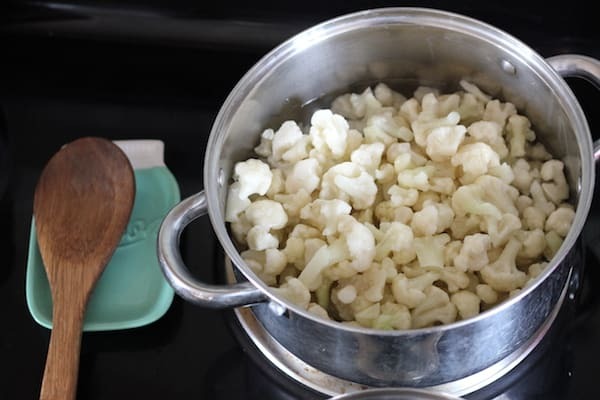 cauliflower as a substitute for rice in dishes like cauliflower fried rice, potatoes in things like au grauten potatoes, and even make cauliflower pizza crust (or breadsticks) now and then. Eating it fresh – leftover cauliflower tastes strong – this is the big one! 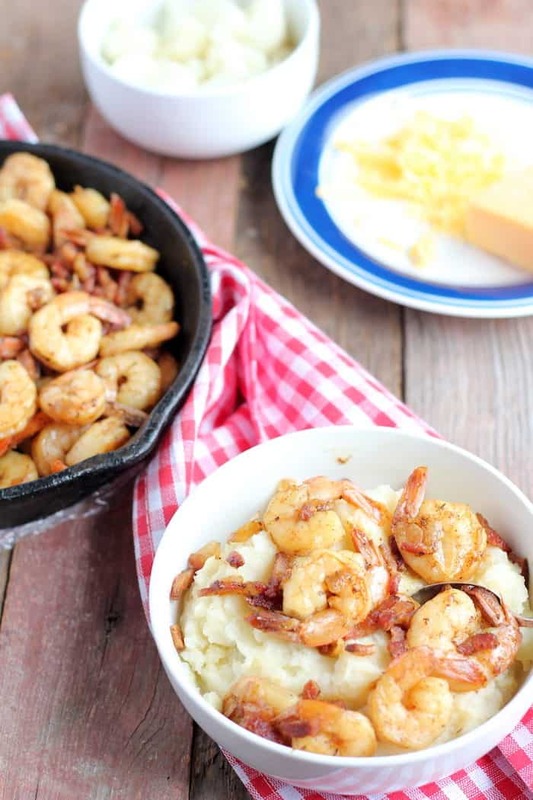 By the time you add the cheese, shrimp, and fixings to this low carb shrimp and grits recipe, you’ll totally forget you aren’t eating true grits. That may sound like an incredible statement, because we are, after all, replacing creamy, starchy grains with a vegetable, but once you try it, you’ll be a believer. And you’ll probably be putting shrimp n’ grits on the menu a LOT more often! Add butter and cheese, mixing until both are melted in. Get The $20 Meal Plan Printable! Want the printable version of this $20 plan? Sign up to get it WITH a complete shopping list, and meal prep instructions! Welcome to The Frugal Farm Wife where I share our adventures in saving money, making money, allergy-free eating, and living healthy.